Atitlan Organics is very proud to be able to supply super high quality farm products to the best restaurants in the Lake Atitlan area. We currently serve all towns between Panjachel and San Pedro La Laguna. If you would like to become a patron of our farm and begin to integrate our products into your offerings, get in touch with us. We will bring you some samples and have a chat about how best to work together. While we produce a very diverse range of foodstuffs, we currently specialize in five products that we make available to local restaurants. These products are consistent in their high quality and we have a dependable output to make sure we can meet your restaurants needs. Our Mixed Salad Greens are 100% organically grown and always harvested before 8AM in order to ensure freshness and flavour. All salad mixes are triple washed in pure filtered water and disinfected before packing. Basically, they are ready to plate, dress, serve, and eat! While the mix may vary from season to season, it usually includes baby lettuce, baby arugula, amaranth micro greens, sorrel leaves, hibiscus leaves, and other locally adapted and delicious tasting salad greens. 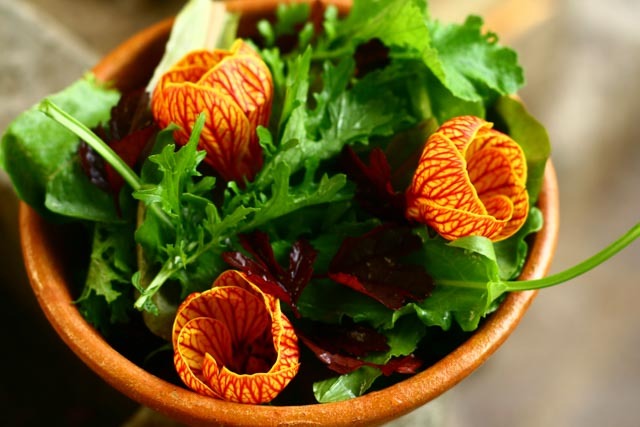 Our salad mixes also include edible flowers which can be used to create amazing plate presentations. Using our salad greens makes all of your restaurants offerings look just a little better. Our Mixed Cooking Greens are 100% organically grown and always harvested before 8AM in order to ensure freshness and flavour. All cooking green mixes are triple washed in pure filtered water and disinfected before packing. Basically, they are ready to prepare and eat! While the mix may vary from season to season, it usually includes amaranth greens (super food status), kale and mustards, beet greens, and other locally adapted and delicious tasting salad greens. Our cooking green mixes are the definition of super healthy food and they can be prepared in any number of ways. Use like spinach and add to pastas or include as a side on an plate to make it look just a little better (and healthier). This Green Italian Basil is the best Basil for making pesto, bruschetta, and more. It is the highest quality basil, grown 100% organically, and available year round. The flavor is strong and pungent, making a little go a long way. These edible Flowers are amazingly sweet and absolutely stunning. Their presence gives any plate the extra special touch that leaves a lasting memory of quality and beauty. The flowers are abundant year round, making availability consistent and always of high quality. The petals can be used to adorn salads, cold soups, plates, buffet tables and more. he sweet taste is not overpowering, but just enough to impart that extra flavor. The petals are quite thick, which helps this flower to hold up for many days in the refrigerator after harvesting. Bags of 25 Flowers are sold year round. You do not want to miss out on this amazing flower, which will take your plate appearance to the next level! Our goat cheese is a mild-flavoured, feta cheese. The cheese is made using only natural cultures and is completely raw, as it is never heated at all during the cheese-making process. The goats have an amazing life on the farm, where they spend 4 hours a day grazing in the mountains. As a supplement, get a portion of whole local Mayan corn and mixed minerals each morning and evening. 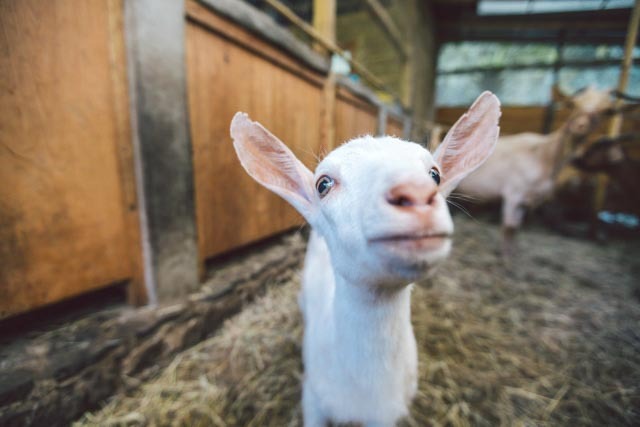 The goats never receive any antibiotics or chemical additives. The cheese is super high-quality and also contains no additives or preservatives. Use this cheese in any number of creative ways, as its flavour allows its use in a wide range of dishes. 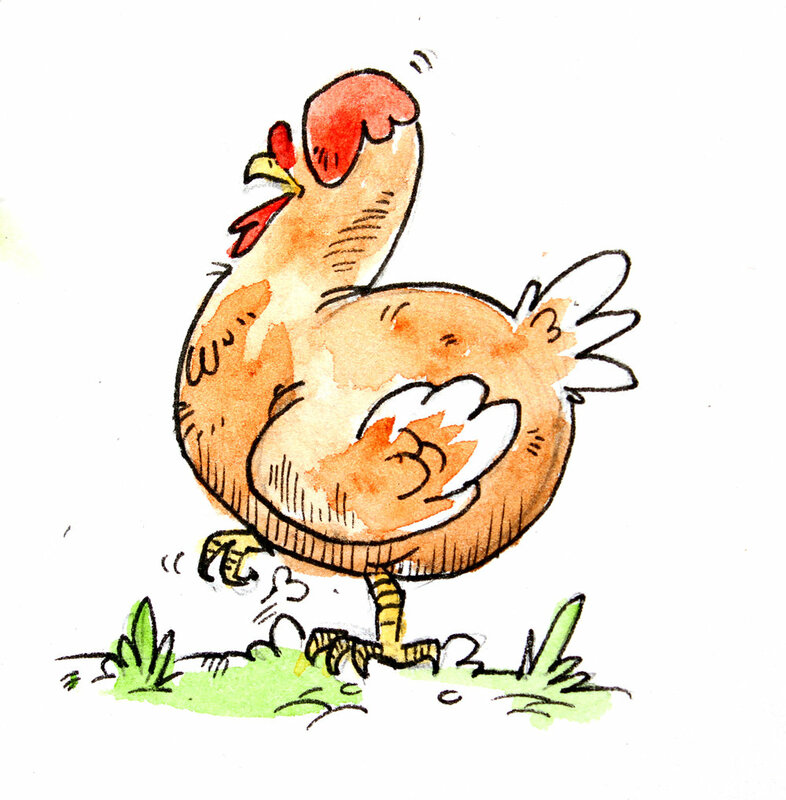 Our hens live on deep composting bedding that is sometimes up to a meter deep or more! This hot compost is a super rich and diverse ecosystem that chickens just love to get all up in. While the hens also have access to various free range yards, they actually seem to prefer the composting bedding inside their amazing composting chicken palace. They get a mix of probiotics and minerals added to their antibiotic free pre-mixed hen feed. The ens are released from one day old on our farm and at 6 months old, begin laying super high-quality eggs with bright orange yokes. Top-quality! Our chickens are raised from one day old, and during the first three weeks, we provide supplemental heating and extra special care. After 3 weeks, the chickens are moved to free range areas where they eat greens and bugs and enjoy the farm to the fullest. In addition to their ranging and foraging, they also receive a controlled ration of pre-mixed chick feed, to which, we add several minerals and probiotics. Their feed and lifestyle is completely chemical and antibiotic free. The chickens are harvested humanely on the farm and we pack them as whole or half birds, all cleaned and ready to cook. In separate bags we include the plucked head, cleaned feet, and all edible organs, which are great for soups, stocks, or animal feed. If you do not want these items, just specify that in your order. In my honest opinion, I believe this is the best chicken that can be found on the lake.